Argentina strikes again! From the province of Mendoza comes DownBeat dub, a four member live band with a twist! Emi Bless (Drum & SetLive), Jah Sound (Bass & Synth), Coco (Guitar) and Eter Dub (Keys & Brass) are mixing organic sounds with some heavyweight dubwise business. "Electrorgánico" is the name of their first digital release on Dubophonic. 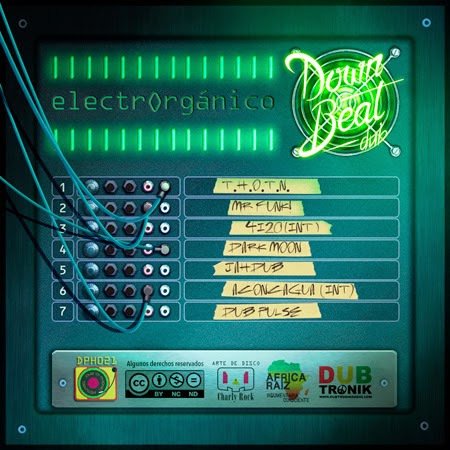 Half organic and half electronic, Latin America is cultivating indeed some serious dub vibes and is establishing itself in the world dub map! 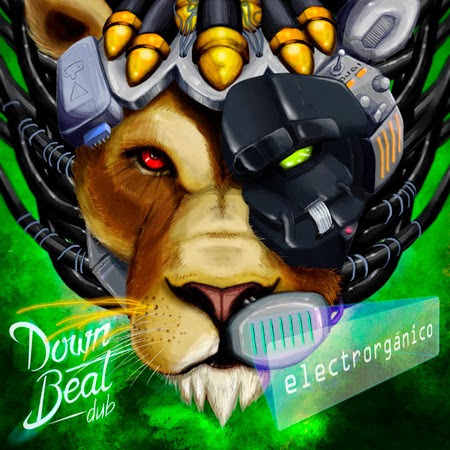 "Electrorgánico" is also the name of their style, the result of their passion and commitment to explore dub music and introduce some new musical paths. The four musicians from Argentina are passionate and dedicated to the study and live performance of dub music. Their album is an amalgamation of many elements: analog meets digital, organic meets electronic, ethnic meets dub. Starting with Coco's guitar healing the nation, the journey continues with some funky dub sounds leading to an inside upliftment. Only to pause for some inspiration through the musically artistic interludes, admiring the view from the high mountains of Aconcagua, the journey continues in an everlasting musical creation. You are invited to join the journey and be a part of their world.